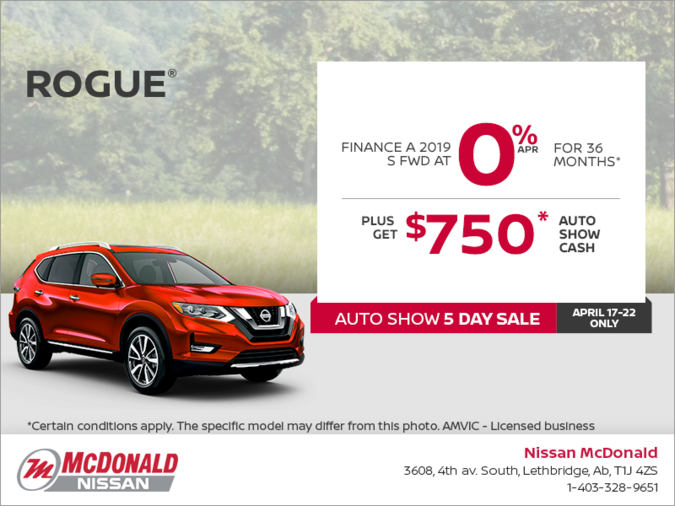 Home > Special Offers > Manufacturer's Programs > Get the 2019 Nissan Rogue Today! 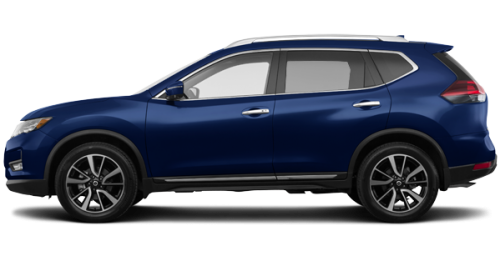 Finance a 2019 Nissan Rogue S FWD with rates as low as 0% for up to 36 months! PLUS get $750 Auto Show cash! This offer ends on April 22nd, 2019. Book your test drive now! Certain conditions apply. AMVIC-licensed business. Get a price quote! Book your test drive! Certain conditions apply. See dealer for details.